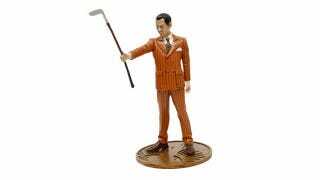 To celebrate the opening of a new, international store for its merch, BioShock developers Irrational are offering this limited edition Andrew Ryan figure. Well, they call it a figure, but it looks more like a small statue to me. There are only 200 of them available, and you can make one of them yours for $100.